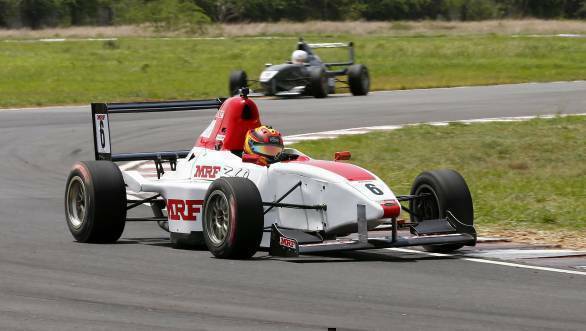 The third round of the 2017 MRF National Racing Championship concluded today along with the second round of the 2017 Ameo Cup. In the first FF1600 race held today, Sandeep Kumar managed to get ahead of Anindith Reddy and Chetan Korada to take the lead by the end of Lap 1, despite having a bad start. Kumar held onto the lead till the end of the race while Reddy and Korada finished second and third. In Race 2 Reddy had his work cut out for him as he spun out after coming in contact with Korada. Korada was forced to retire, but Reddy fought his way up to take the win ahead of Kumar and Arya Singh. This puts Reddy in a strong lead in the overall championship standings. In the ITC (Indian Touring Car) Championship, there was very close competition between Race Concepts' Deepak Paul Chinnappa and Red Rooster Performance's Arjun Narendran. Chinnappa won the first race after starting from P3 on a reverse grid of four, while Narendran and V Nikanthram (Red Rooster Performance) finished second and third. In Race 2 however, Narendran, who was on pole, managed to take a very close win ahead of Chinnappa. Prime Racing's B Vijayakumar finished third. 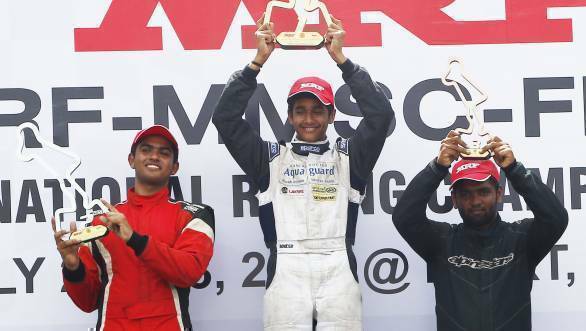 Yash Aradhya managed to win the Formula 1300 race today, ahead of Arya Singh and Rupesh Sivakumar. 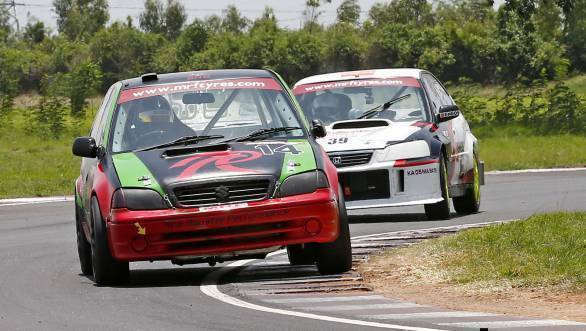 This also meant that he won the Rookie category, ahead of Arya Singh and Bala Prasath A.